Oppo's sub-brand RealMe has announced the release of its new series "U" smartphones in India. 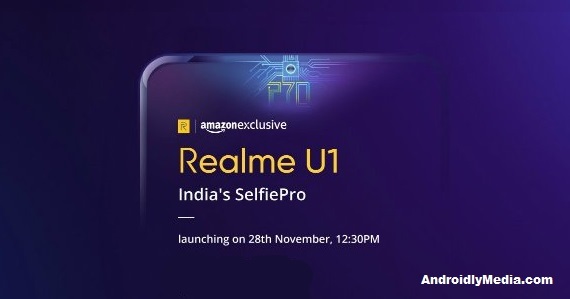 So, in this U series the first smartphone is going to be RealMe U1 which is going to launch on 28th November. The launch event is scheduled at 12:30PM on 28th November. This smartphone is going to be available exclusively on Amazon India. As RealMe has released its teaser, which suggests that this smartphone will come with a camera which is selfie-focused (India's SelfiePro). Let's see what we get in this smartphone when it is launched.